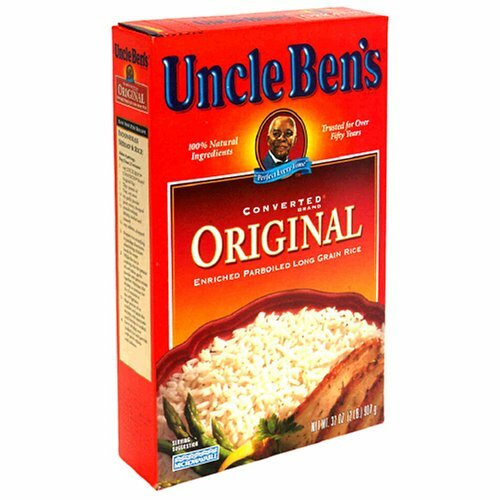 Uncle Ben's Converted Original Enriched ParBoiled Long Grain Rice , 32 oz (2 lb) 907 g by Uncle Ben's at Rae Of Sunshine Life. MPN: 408116942324. Hurry! Limited time offer. Offer valid only while supplies last. Microwavable. 100% Natural ingredients. Are you sure you're eating healthy? All Uncle Ben's plain rices are low fat and cholesterol and gluten-free. Microwavable. 100% Natural ingredients. Are you sure you're eating healthy? All Uncle Ben's plain rices are low fat and cholesterol and gluten-free. Choose rice as part of a healthy diet. Eat 7-8 servings of grains per day. Fat free. Sodium free. Cholesterol free. Gluten free. Hypoallergenic. View More In Dried Beans, Grains & Rice. If you have any questions about this product by Uncle Ben's, contact us by completing and submitting the form below. If you are looking for a specif part number, please include it with your message. Carolina Gold Parboiled Rice, 10 lbs.